This campaign by Alazraki Network in Mexico tells a simple story: Destruction of forests is the destruction of life. A classic example of smart, memorable and spot-on art direction. 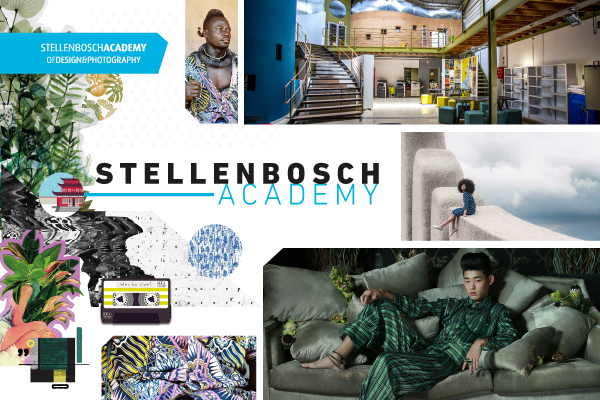 This entry was posted in Art Direction and tagged Art Direction, print, Pro Natura on December 31, 2014 by stellenboschacademy. We’ve shared a lot of photography this month, but it seems like we just keep on finding amazing work. Here, we share the work of Jaume Albert Marti, a Spanish photographer who was born in Valencia. This series of photographs, documenting stall holders at carnivals, captures some amazing portraits but also pays so much attention to the beautiful lighting of these spaces. Have a look at more of Jaume Albert Marti’s work right over here. This entry was posted in Photography and tagged Jaume Albert Marti, photography, Portrait on December 29, 2014 by stellenboschacademy. Steve McCurry is a photography veteran who has spent many years in Asia, Pakistan and Afghanistan photographing the local people and culture. He, in fact, captured the iconic ‘Afghan Girl’ cover of National Geographic, which is one of the most iconic images of our time. Here we are sharing some of his amazing work from India, which so strikingly captures the soul of the country. A true example of a master at work. To see more of McCurry’s work – his website is right over here. This entry was posted in Photography and tagged photography, Portrait, Steve McCurry on December 26, 2014 by stellenboschacademy. Romain Trystram is a graphic designer and illustrator from France with a keen eye for light and how it can best be represented in the illustrated form. A background in comics and animation has also given him an edge when it come to powerful, dramatic images. What amazing work. See more of Romain Trystram at his site here. This entry was posted in Illustration and tagged Illustration, Light, Romain Trystram on December 24, 2014 by stellenboschacademy. Cecile Chavez is a food photographer and stylist from Melbourne, Australia and we love her playful, technicolour take on food photography. Have a look at her fun work here, then check out her website for more. This entry was posted in Photography and tagged Cecile Chavez, food, photography on December 22, 2014 by stellenboschacademy. Martin Hill is a British environmental artist who specialises in sculptural works that draw our attention to nature. We came across his Ephemeral Sculptures series and we had to share them. These are such beautiful images that really make one stop and think about the beauty of nature and our influence on the environment. To see more of Martin Hill’s work, check out his website here. This entry was posted in Inspiration, Photography and tagged Martin Hill, photography, Sculpture on December 19, 2014 by stellenboschacademy. Miss Take is a self-taught Danish illustrator with a distinctive watercolour aesthetic that we just love. Currently just 22, Miss Take has been working as an illustrator since she was 18 – with such amazing work already, we can’t wait to see where her career will take her. To see more of her inspiring work, check out her website here. This entry was posted in Illustration and tagged Illustration, Miss Take, Watercolour on December 17, 2014 by stellenboschacademy.